The HAS investigations have revealed the fact that Hotrod was going through the manufacturing problem regarding the acceleration control and the proper placement of the floor mat, thus numerous recalls they had to face. The reason was the installation of the wrong floor mat which used to interfere the accelerator pedal in an adverse manner (Hotrod, 2004). Thus, to overcome from the manufacturing defect in temporary basis unless and until the manufacturing problems were not fixed up, the owners of the cars were instructed to remove the floor mat from the acceleration touch and place them in the car boot. The usage of the zip ties to secure the floor mats in an effective manner so that the accelerator paddle will not become in touch with the floor mat to cause further brake problem and the accelerator push problem. At the same time, the newly joined CEO of the organization publically apologize by organizing the press release and also assured for the quick recovery of the problem with the recovery of the recalled vehicles. It also has been admitted by the spokesperson of the Hotrod organization that the lack of the safety programmed into the computer to disable the accelerator paddle when the brake paddle was pressed is another important drawback that the manufacturing unit with the help of the Indian and China supplier unit. Thus, based on these concepts, the valid HSA investigations have revealed the fact regarding the key problem with the acceleration installation. But, the blame has been ignored by Hotrod by mentioning the fact that the problem was basically with the drive – by – wire electronic throttle system. But, in this aspect, HSA has claimed the fact that investigation was closed just after Hotrod recalled the damaged car and redesigned them. The CEO of the organization has assured that the proper measures will be taken to overcome the problem faced by the car owners with the suitable reimbursement(Hotrod, 2004). Tribune has detected the fact that the defects in the car and the problem with the floor at installation and the 1,200 complaints regarding the unintended floor mat installation was hidden from the customers. Based on the fact the HAS started the investigation on the drive – by – wire system to get the cause of the problem. But, after the several investigations, it has been revealed that the cause was with the acceleration installation and the incorrect floor mat installation. From the aspect of the computer based fixing of the problem, it has been admitted by Hotrod that there were fifteen machines in their worldwide market those are capable of the perfect reading of the onboard data recorders and also refused to share the information with the claimants. This was another drawback of the organization which they assured to take necessary steps in future. In defense, it has been stated by Hotrod that these machines were used for the community service or when it was required by the judge to verify the claim (Kenzie & Evantalls, 2006). Thus, the partially the investigation report by HAS been admitted by Hotrod and also assured to take the necessary steps to maintain the reputation in the market with the perfect existence of the brand name in the market. As per the view of Selnes (2013), the reputation of the brand name in the market is essential to survive in the market with efficiency. In today’s age, the press release news uses to disseminate in a rapid version that they are quite capable of destroying the image of the organization in the market quickly. Thus, it is required to take the strategic step so that the reputation can be saved. In this aspect, the leadership used in the organization must guard the reputation. At the same time, at the crisis time that Hotrod has faced, it is required by the executive to rethink regarding the strategic planning to restore the reputation of the brand name in the market. It is required to demonstrate the fact to the public that Hotrod is taking the proactive approach to fixing the problems onimmediate basis. It is also required to announce that they will cooperate with the authorities in an effective manner. It is required to make sure that Hotrod is focusing on taking the remedy action more rather than asking for apology verbally without any immediate action. Further, it is required to demonstrate the fact that they have admitted that they have made a mistake and they are taking the required steps in a quick manner (Herbig & Milewicz, 2012). It is required to implement the new organization-wide procedure as well as the policies related to the manufacturing so that they will be able to prevent the fact of the reoccurrence of the recalls of the manufacturing defect once again. The evaluation of the current company culture is required to be performed so that the good work culture with the transparent communication and the openness couture can be established in the organization in an effective manner (Kapferer, 2012). The authentic business policy has to be adopted by Hotrod. They have to make their public sure about the fact that the business operations that they are using are transparent and there is nothing to hide from the general public. Thus, at present, it is the big challenge in front of Hotrod to gain back the trust factor of the customers by assuring them that they are truly into the process of resolving the problems that their customers have faced, and also they are into the process of improving the manufacturing process and manufacturing design after finding to the cause if e numerous recalls(Kapferer, 2012). After the complete discussion of the consequences of the vehicle recall of the Hotrod cars, and the explanation was given by the company along with the results of the HSA investigations, it can be stated that the explanations given by the company are not trustworthy as the company had taken the step to hide the information of the defective cars to the customers so that the precautionary measures would have been taking(Hotrod, 2004).Thus, it also can be stated that the company has violated the ethical concerns to be maintained in the business operations to be executed by any company in an effective manner. In this aspect, it is required by the organization to take the strategic steps as explained to regain the trust factor to be offered by the customers towards Hotrod. After the perfect observations of the case study, it is evident that Hotrod is not telling the truth. The statement that they are using is just to protect themselves from the further legal processing. After the HAS investigations for repeated time, it has been observed that the key problem area was the accelerator issue and the floor mat installation which caused the numerous vehicle recall. But, it has been completely denied by the company. Further, they have imposed the responsibilities on their suppliers from Indi and China. Further, they also have mentioned that the problem was not with the accelerator of the floor mat, but the problem was with the drive – by – wire system. The transfer of the responsibility and the case of the recall on the CT company, Elkhart, India, it is evident that they were not ready to accept their mistake at the initial stage But, after the further investigations by the HAS, they have admitted their fault at the final stage. Thus, it is evident that the statement offered by Hotrod is not true. It does not seem that Hotrod is acting in the public interest. As per the view of Dobel (2016), meeting the public interest redirects to the fact of the maintaining the trust factor of the customers with the ethical business operations in an effective manner. At the same time, it is also required not to hide any defect from the customers along with the acceptance of the mistake for taking the effective action for the trust regain of the customers. The company has accomplished none of the factors at the early stage. After the repeated investigations, they were compelled to accept their mistake. Thus, it can be stated that Hotrod did not meet the public interest. Dobel, J., 2016. Integrity in the public service. Public Administration Review, 50(3), pp. 354-66. Herbig, P. & Milewicz, J., 2012. The relationship of reputation and credibility to brand success. Pricing Strategy and Practice. Hotrod, 2004. 1966 Batmobile – Auto News and Events. 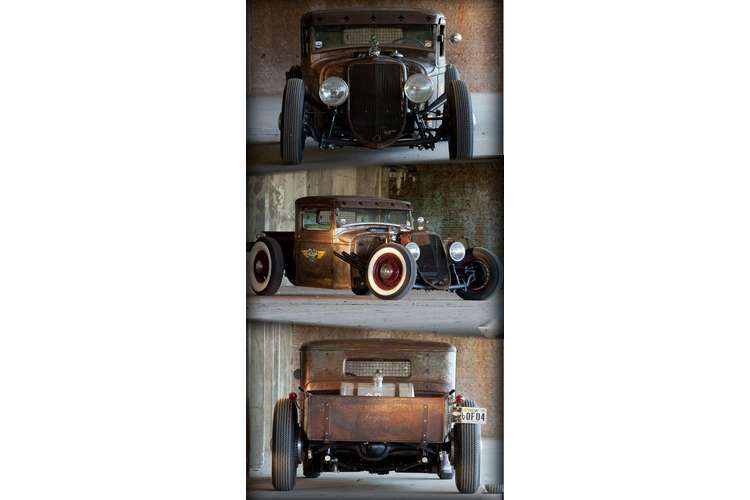 [Online] Available at: http://www.hotrod.com/articles/ccrp-0404-auto-news-and-events/ [Accessed 19 October 2016]. Kapferer, J., 2012. The new strategic brand management: Advanced insights and strategic thinking. London: Kogan page publishers. Kenzie, J. &Evan tells, M., 2006. The Crisis of Hotrod, Motoring News, London: Motoring News. Selnes, F., 2013. An examination of the effect of product performance on brand reputation, satisfaction and loyalty. Journal of Product & Brand Management.